Preston, R.J. and M.-a. Tremblay. "Anthropology in Canada". The Canadian Encyclopedia, 20 March 2017, Historica Canada. https://www.thecanadianencyclopedia.ca/en/article/anthropology. Accessed 26 April 2019. Anthropology is the comparative study of past and contemporary cultures, focusing on the ways of life and customs of people around the world. Subdisciplines have developed within anthropology, owing to the amount of information collected and the wide variety of methods and techniques used in research. The main branches are physical anthropology, archaeology, linguistic anthropology, ethnology (which is also called social or cultural anthropology) and applied anthropology. In Canada, early anthropologists included missionaries, explorers and traders who documented the lives of the Indigenous people they encountered. Later, the Geological Survey of Canada played a significant role in the development of Canadian anthropology. J.N. 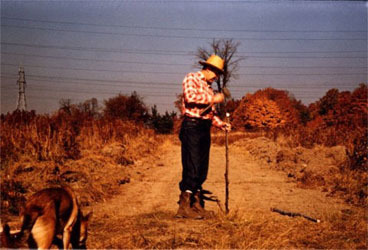 Emerson at the Parsons site, circa 1953 (courtesy Department of Anthropology, University of Toronto). Physical anthropology is the study of the evolution and physical varieties of humankind. It includes the physical measurement of skeletal remains and living people (anthropometry); the study of human genetics, with comparisons to the genetic makeup of other primates; and the study of primate behaviour for a detailed description of their social behaviour and comparative generalizations about primate social organization. Research of this kind indicates how the social behaviour of early human groups might have been organized. Archaeology is the study of the prehistory (as well as some more recent history) of humankind through digging up, analyzing and interpreting the remains of past cultures. Archaeology also dates the origins of human habitation in various parts of the world and studies the tools, other artifacts, art and structures that have developed over the ages. 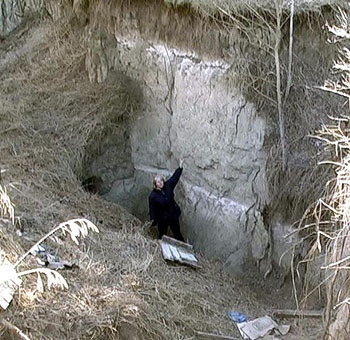 Archaeologists seek to reconstruct the development and cultures of past peoples. Linguistic anthropology, or ethnolinguistics, is the study of the organization of language, including the identification and analysis of units of speech, from the simplest units of sound to the complex and various combinations of sound and meaning that are used in the thousands of languages spoken in the world today. Historical and comparative study also makes it possible to reconstruct languages that are no longer spoken and establish the relationships among languages. Linguistic anthropologists may also study nonverbal forms of communication and the rules for the proper use of speech (pragmatics). Ethnology combines theoretical anthropology and ethnography, and is the scientific core of anthropology. Theoretical anthropology employs abstract hypotheses and perspectives from other disciplines, as well as more abstract tools of observation and analysis. Ethnography is the process of recording and describing a particular culture, usually through field work. Ethnology uses theoretical models and a wide empirical knowledge of different cultures to allow for comparisons and the formulation of general cultural norms. Applied anthropology, which has become a major focus of anthropology in the past several decades, is the use of anthropological knowledge to solve practical problems of human groups. This application has been tried mostly in small communities struggling with problems of poverty or rapid cultural, technological or economic change. It is also concerned with the development of new forms of education to help people cope with rapid change, or with more effective ways of improving the health of the community. The classic definition of culture, still widely accepted, was published nearly 150 years ago by E.B. Tylor. It is "that complex whole which includes knowledge, belief, art, morals, law, custom, and any other capabilities and habits acquired by man as a member of society." From an anthropological perspective, virtually every mature human being is thoroughly endowed with his or her culture. Everyone knows a language; knows how to act toward relatives, friends and strangers; how to take a place in society; how to use many of the basic tools; how to make an exchange of goods or services; how to regard the persons who have political power or social prestige; when to evaluate things, actions or ideas as good or bad; and how one's particular world is arranged in size, shape and purpose. People know these things; they have a sense of what is excellent in each of these aspects of their culture and perhaps a sense of what an ideal person should be. But what is ideal to an 18th-century Montréal gentleman is a far cry from the ideal for a Vancouver artist or a Prairie farmer, a Maritime fisher or an Inuit mother. To better understand these differences, the concept of culture is divided into major segments such as technology, economics, kinship and social organization, value systems and ideology. Technology refers to the things manufactured in a culture and especially the knowledge and skills required to make them. Technology is responsive to the physical environment and to the size and complexity of a society, so that the technology of a northern hunting culture, for example, will be different from that of a tropical farming culture. Economics is often thought to refer to the production and exchange of goods, but in anthropology it is also thought of in terms of the exchange of services and less tangible exchanges of rights and privileges. This trade may be within a community or among different groups. Trade is often more than simple exchange, giving a stable and dependable bond, or alliance, to the group. Kinship and social organization refer to the relations among the people of a group, and include the way individuals know how to act and what to expect in their relationships to others. These expectations may include customs around marriage, inheritance and communal responsibilities. Value systems and religious belief and behaviour are the aspects of culture that are closest to the significance or meaning humans attribute to events, beyond the events themselves. Birth, reaching adulthood, marriage and death are charged, in the minds of most people, with special value, and often with spiritual meaning. This is also true of the aspects of life that are most closely linked with making a living, such as rituals of hunting, agriculture or pastoralism. Ideologies, world view and cultural imperatives provide people with their sense of the way the world is constituted or arranged, and how they must act to be in harmony with the world (rather than risk harm by being in conflict with the moral or natural order). Ideologies are conceptual “maps” or images of what the arrangement of society should become, a statement of the ideal toward which the group should strive. Each of these major segments of culture has attracted many studies. Some describe how that segment is defined for particular cultures and others compare it across cultures. The information used in such research comes from field studies. Field research was once left to the travellers, traders and missionaries who cared to write about peoples and their cultures. The first anthropologists were social philosophers and intellectuals who understood cultures through the "armchair studies" of historical and travel documents. Only in the last decades of the 1800s did anthropology become a discipline based on fieldwork and the accumulation of firsthand observations. Training in field methods of observation is an important part of anthropological apprenticeship. Anthropologists usually gather data through systematic observation of daily events and participant observation in events and situations that are of special importance (such as economic activities, social relationships and spiritual acts). They seek out and interview people who possess special and relevant knowledge and who communicate with accurate detail and completeness. Every field worker develops a method for recording and classifying data so that accurate and appropriate information may be written up in scientific reports. Anthropologists often stay in the field or return to it for a year or more, in order to establish good relations with the people they are studying and to be thorough and accurate in making a record of what people say and do. This kind of field research requires social skills as well as skills in anthropological theories, concepts, methods and techniques. The observers must also explain who they are, what they are doing, the reasons for doing their research, how they will use the information they collect, how long they will stay and other questions that are a part of being honest and courteous toward one's hosts. They must not only abide by the ethical principles of their profession, but also by the ethical principles of the people they are living with and then writing about. The founders of Canadian ethnology were the explorers and missionaries who lived in French Canada in the 1600s. These men, including Samuel de Champlain and Fathers Chrestien LeClercq, Paul Le Jeune and Gabriel Sagard, were deeply interested in knowing the ways of life and beliefs of the Indigenous people they lived among, and they provided detailed descriptions that were later used by professional anthropologists. Other early Canadian anthropologists included explorer-traders such as Marc Lescarbot, and later teachers at early universities, such as Sir Daniel Wilson at Toronto and Sir John William Dawson at McGill (in the mid-1880s). Government employees, in particular those with the Geological Survey of Canada, made important records of their travels, including details about Indigenous people they met and observed in the course of their work. The most important of these employees is George Mercer Dawson, who was employed by the Geological Survey from 1875 and rose to be its director in 1895. Dawson helped establish a professional basis for Canadian anthropology, though he died before it received formal recognition. In 1910, Prime Minister Wilfrid Laurier established a Division of Anthropology within the Geological Survey, marking the beginning of professional anthropology in Canada. Offices were in the Victoria Memorial Museum in Ottawa, and established anthropologists were recruited from England and the United States. Professor Franz Boas, who studied the Inuit and Indigenous people on Canada’s Northwest Coast, trained Edward Sapir, the first chief ethnologist at the Geological Survey of Canada. Charles Marius Barbeau, a pioneering anthropologist born in rural Québec, was an early contributor to the National Museum (now the Canadian Museum of History). Barbeau’s collections of French Canadian material culture, songs, stories and tales provided the foundation for Les Archives de Folklore at Université Laval. Barbeau also recruited to the museum a fellow student from Oxford University, Diamond Jenness. Like Dawson and Boas, Sapir and Barbeau both studied the Indigenous people of the Northwest Coast, while Jenness is best known for his research in the Arctic among the Inuinnait. William Wintemberg and Harlan Smith contributed to the collection of prehistoric artifacts. These men, along with a handful of others, had nearly sole responsibility for the development of the profession in Canada from 1910 until 1925, when Sapir left Canada and Thomas McIlwraith took the first academic position in anthropology at a Canadian university. Five years later, McIlwraith was still the sole member of his department at the University of Toronto. The next universities to hire anthropologists, the University of British Columbia and McGill, didn’t do so until 1947. Alfred G. Bailey was the first Canadian to write a distinctly anthropological doctoral dissertation, published in 1937. He based it on Jesuit records and titled the work "The Conflict of European and Eastern Algonkian Cultures, 1504–1700: A Study in Canadian Civilization." However, because there were no anthropology doctoral programs at the time, Bailey received his degree in history. The first PhD in anthropology was granted in 1956, with only a few more being granted until the late 1960s. The 1970s brought a boom in university development and professional anthropology, and by 1980 about 400 people with doctorates in anthropology were employed in Canada, and many more with master's degrees. Harry Hawthorn built the department at UBC and set a standard for the use of anthropological research as a guide to public policy in his classic report to the federal government, coauthored by Marc-Adélard Tremblay, A Survey of the Contemporary Indians of Canada (1966, 1967). Common trends dominated the development of anthropology in Canada despite differences in language and distances between the various universities and museums. Part of the reason for this uniformity was the widespread influence of the ideas of Franz Boas and his students. Moreover, anthropology in English Canada was built on an interest in Indigenous people living in small, isolated communities. This led to anthropological emphasis on the empirical field-study tradition, with participant observation and interviews with key informants, and resulted in reports that described the technology, economics, social organization, values and world view of each particular community. Research in other areas of Canada and the world gradually increased during the 1960s and 1970s. In French Canada, anthropology was built on rural and small-town studies of the Québec region and its people, again emphasizing the study of small and relatively isolated groups. The development of anthropology in Québec was based on the classic studies of French Canadians by early sociologists. The most important figure was Léon Gérin, whose L'Habitant de St-Justin illustrated how, in rural Québec, the old European patriarchal system continued to organize the community's lifestyle. The American Everett C. Hughes also influenced Québec anthropology with his French Canada in Transition (1943), a study of the process of industrialization in the town of Drummondville. Another American, Horace Miner, wrote St-Denis: A French Canadian Parish (1939), which became a model for community studies in Québec. This interest in the study of non-Indigenous communities continued to grow throughout the 1960s and 1970s, particularly at the Université de Montréal and Université Laval. Research contributed to the cultural “mapping” of more isolated regions and helped draw attention to socioeconomic disparities. Founded in 1961, Memorial University’s Institute of Social Research focused on the empirical study of communities in Newfoundland, Labrador and the North Atlantic Rim. The institute became a true centre of expertise in the fields of cultural studies, community studies, social and economic development, as well as in social impact assessment and the evaluation of public policy. Norman Chance of McGill University developed a research program on social change among the James Bay Cree, similar to Marc-Adélard Tremblay’s studies on francophone communities in Québec’s Côte-Nord region and Acadians in Nova Scotia and Harry Hawthorn’s work on Doukhobors in British Columbia. Canadian anthropologists also demonstrated a keen interest in the study of communities beyond Canada, namely in Africa (from the 1970s on), Mexico, Latin America, the Pacific and, later, Asia. Since the 1970s, increasing specialization within anthropology has provided more refined methods and greater precision in research, but this specialization has meant that some topics have not received the attention they deserve. The anthropology of urban centres and contemporary culture is nevertheless rapidly growing, resulting in research on immigrant and linguistic communities (e.g., Louis-Jacques Dorais’s work on Montréal’s Vietnamese, Cambodian and Laotian communities) and subcultures within occupations (e.g., Serge Bouchard’s research on the culture of long-distance truck drivers). In the 1980s and 1990s, feminism (see Women’s Movements in Canada) drew researchers’ attention to women, power relations between the sexes, and gender identities. Nevertheless, despite these trends in research, it remains difficult to identify what defines the practice of anthropology in Canada. Whereas some argue that Canadian anthropology is a blend of international approaches — specifically American, British and French ones — others point to the discipline’s fragmentation (due to increasingly varied topics and fields of study, among other factors). Anthropology first developed within museums and cultural institutions; today, however, it is firmly established at Canadian universities. Fifteen universities offer PhD-track programs in anthropology: University of Victoria, Simon Fraser University, University of British Columbia, University of Alberta, University of Calgary, University of Manitoba, McMaster University, York University, University of Toronto, Western University, Carleton University, Université de Montréal, McGill University, Université Laval and Memorial University. Some of these universities also offer doctoral degrees in sociocultural, biological, medical and other specializations of anthropology. Anthropologists’ professional organizations are knowledge-sharing networks that attest to the institutional establishment of anthropology as a discipline in Canada. The Canadian Anthropology Society (CASCA), founded in 1974 and publisher of Anthropologica (formerly Culture), is probably the most representative. As of 2017, it had more than 500 members in Canada and around the world. CASCA also holds annual meetings. Far from being confined to academia, anthropologists are active in museums, businesses, and provincial and federal governments. Some also work as consultants and guest experts in the media. Julia Harrison and Regna Darnell, Historicizing Canadian Anthropology (2006). Museum of AnthropologyThe website for the Museum of Anthropology at the University of British Columbia. Features a virtual tour, online exhibits, and a First Nations of BC map. Canada's largest teaching museum is best known for its extensive Northwest Coast First Nations collections. Royal Ontario Museum The official website for the Royal Ontario Museum features illustrated guides to many of the museums collections and exhibits.